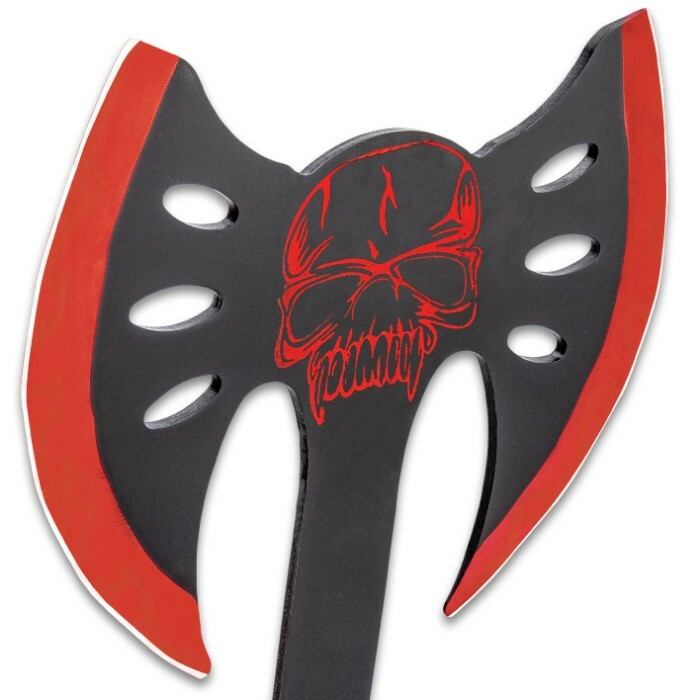 This Punisher throwing axe offers a double-blade design with heavy, spike-like blade serrations. 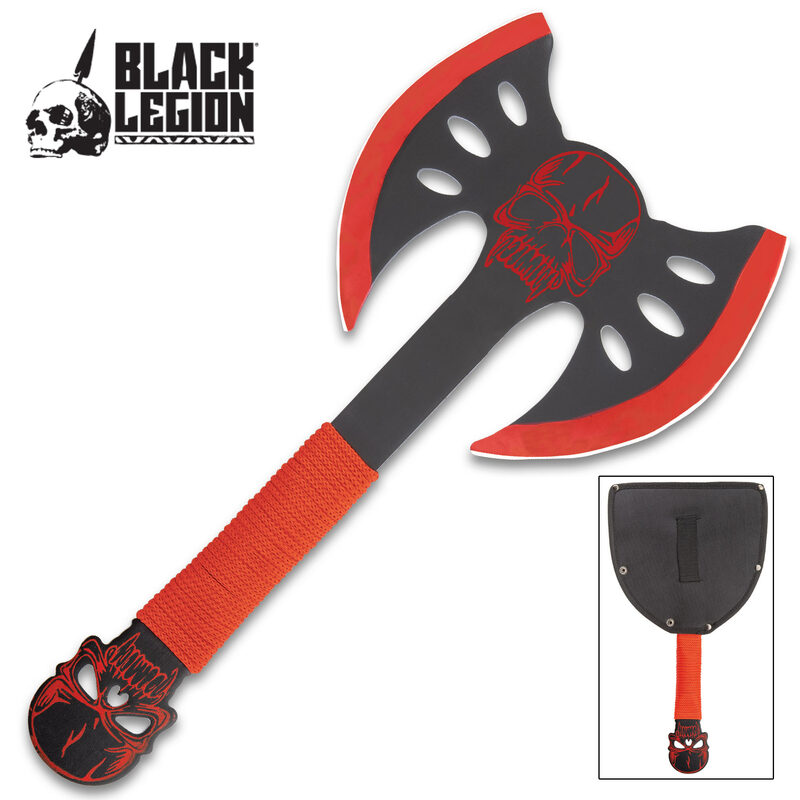 This unique design utilizes one-piece stainless steel construction with an anodized black finish. 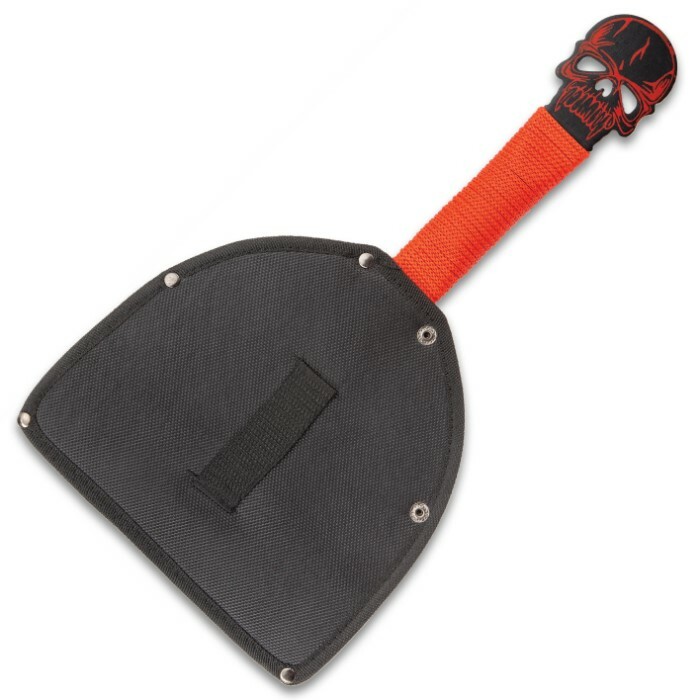 A cord-wrapped handle ensures a quality, comfortable grip, and the end of the tang has a cut-out skull design. Includes blade sheath. 13-1/2" overall.